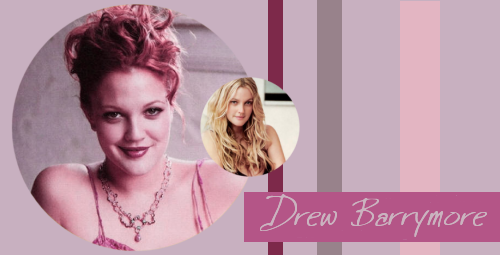 Not only is Drew very talented, she is also a very beautiful woman, who can look stunning with or without make up, with long hair or short hair, wearing a dress or blue jeans, sporting any hair color or hair style, and she has a smile and personality that lights up a room. She also has a child-like quality about her that is just adorable, she's a kind and giving person and I just love her to bits! Since I think she looks beautiful no matter what, I named the fanlisting, Versatile Beauty. I think it fits her perfectly!